Sniper School is a shooting game in www.bestgames.pk in which you try to shoot the targets. This game contains three game modes-fly-shot、man hunt and shoot-to-up which are classified by their different rules. In the fly-shot, you’ve only got limited ammo to catch these flying targets. Each round gets harder as the number of targets increase and the amount of the ammo goes down. In the man hunt, you should keep the target at bay as they head towards you. If they reach you, you will lose a life. Lose all four lives and you’re out. The longer you last, the stronger、faster and more regular they got. In the shoot-to-up, you should try and keep the target in the air as long as you can by shooting at it. If it falls, your scores go back to zero. No time limit. So you can play as you like. Are you ready? Select one game mode and have fun. 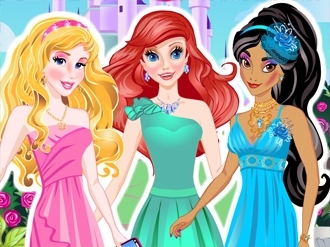 Disney Princesses are going to High School for the first time. Unfortunately, young Princesses have no idea what to wear. They tried on many different clothes, but nothing looks as they want. Lucky for them, Princesses heard about a fashion expert who can find the best outlook for the each of them. This expert is you! 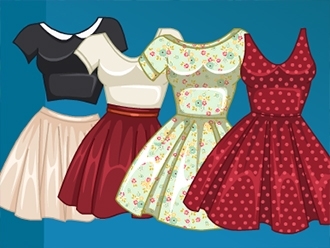 Princesses need your help to choose what to wear for the first day at High School. Help Aurora, Ariel and Jasmin to choose best dress, jewelry and hairstyle to look gorgeous at their first day at High School. Sofia is preparing to get back to school. 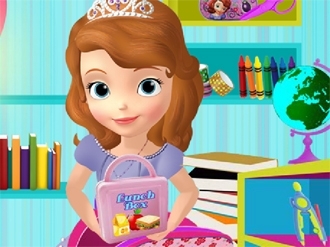 Help Sofia find all the necessary items for school and fill the schoolbag with pencils, books, ruler, lunch box and more. The first day of school is going to be perfect. 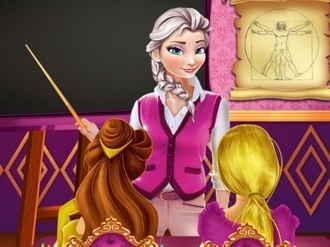 Become one of the select few that get to play this Elsa learning game as she has opened a Royal School. Try to answer all the questions as well as you can as there are three subjects that need to be tested. 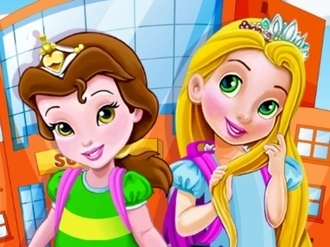 Rapunzel is the most popular girl in high school. Not only does she get straight "A"s at scores, she is also the school fashion queen. Do you want to learn from her makeup skills and fashion tips? 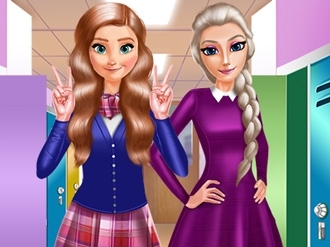 Play this fun game called Rapunzel High School Queen and give Rapunzel a cute makeup look and select the most cute outfits for school. Have fun!